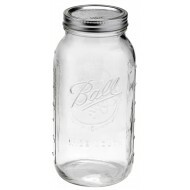 1 litre (actual capacity 1062ml) Weck Preserving Tulip Jar. Takes Large lid and seal. These jars are suitable for water bath, and pressure canning. With the added bonus of being able to freeze and bake. The most versatile and beautiful preserving jar available today. Aside from their uses for preserving, tulip jars are ideal for dry storage, floral displays and even as serving bowls for fresh fruit, yoghurt and more. 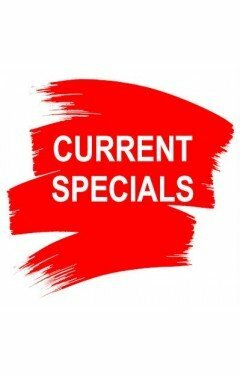 Also available in packs of 6 with lids. 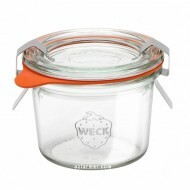 1/2 litre (exact capacity 560ml) Weck Preserving Deco Jar. Takes Medium lid and seal.Choose either the option of purchasing the jar only or the ja..
1 litre (exact capacity 1062ml) Weck Preserving Deco Jar. Takes Large lid and seal.Choose either the option of purchasing the jar only or the jar ..